The Technical University of Moldova (TUM) (www.utm.md) is a technical educational state institution, founded in 1964. TUM comprises 8 technical and 1 business faculties, offering courses at 80 license, 36 master and 34 doctorate specialties (www.utm.md). The studying of those about 18000 bachelor, 1200 master and 160 doctorate students are supervised by the 850 didactical and scientific staff. The Technical University of Moldova (TUM) is a Moldovan technical educational institution accredited by the state. TUM prepares specialists at all levels: license, master and doctor degree studies. TUM comprises 9 technical and 1 business engineering faculties, offering courses at about 80 bachelor specialties, 36 master programs and 34 doctorate science specialties. The studying of those about 12000 bachelor, 1200 master and 160 doctorate students are supervised by a didactical and scientific staff of 800 persons. Since its foundation in 1964 it has trained more than 66600 engineers and economists. TUM offers courses for engineers for almost all branches of the national economy. University studies at TUM are organized on the basis of the European system of transferable academic credits (ECTS). This system permits the diplomas to be compatible with those of the European countries. As a result, the students and the specialists have the possibility to activate in the European area. TUM is a research-intensive, internationally oriented university that carries out both fundamental and applied research. It is strongly inter- and multidisciplinary in focus and strives for international excellence. During last period of time TUM is active in implementation the educational international projects like Erasmus Plus, Tempus, CEPUS, that are as good platform for the enchasing the internationalisation activities at the TUM. State Agrarian University of Moldova (SAUM) (www.uasm.md) is an accredited university in the Republic of Moldova and it was attested with international quality standard ISO 2011-11-19. 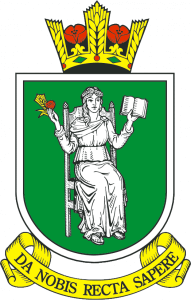 For research activities and teaching, the university management of SAUM has awarded with the most important title of the country: “The Order of the Republic”. It has experience in a lot of international projects, has over 60 cooperation agreements with universities, research centers and leading industrial enterprises from foreign countries. SAUM is member of different international organization: European University Association (EUA) (since 1995); Council of Rectors of the leading agricultural universities in the CIS (since 1995); Agency of the Francophone Universities (AUF) (since 1997); International Association “Agrarian University Complex” (Since 2013); Danube Rectors’ Conference (DRC) (since 2014). SAUM meets regional demands for academically educated staff, research, innovation and communication, while collaborating with other universities to meet national demands. The international perspective is reflected in the university’s research and education activities through the participation in the exchange programmes of teaching staff, the establishment of student exchange programs and international research collaboration. 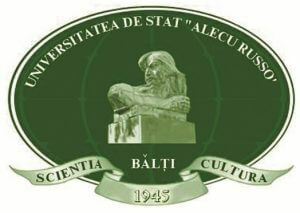 Alecu Ruso State University of Balti (USARB) (www.usarb.md) The institution was founded in 1945 as Pedagogical State Institute, acquiring the statute of Alecu Russo Balti State University in 1992. Nowadays it’s a University Complex which embraces all levels of training specialists (Bachelor, Master and Doctor levels), as well as continuing education of specialists who are already employed. The University has about 5500 students at 44 specialties with 26 programs at 4 faculties. The employees of the 13 specialized departments provide educational services in Romanian, Russian English, German and French. Also USARB has 8 doctoral programs. In 2009 the University got the international certificate ISO 9001-2000 of the European University System of Quality Management. On December 5, 2011 the University was certified by the certification bodies of the management systems IQNet and RSQA in the fields of higher education and training university lecturers and academics. The certificate confirms that USARB maintains a quality management system according to ISO 9001:2008. In 2011 by the Decision of the National Council for Accreditation and Attestation no. 581 from June 3, 2011, the University was accredited as an organization from the field of science and innovation with all rights to carry out research, innovation and technology transfer in five research areas. The title of the institution is Internationally Competitive Organization (category B). The University Scientific Library, ranked by the Government of the Republic of Moldova as of highest category, has a book stock of about 277700 titles in 1013293 copies, in 52 languages. It contains several special collections, database, it is computerized and connected to the Internet. Cahul State University “Bogdan Petriceicu Hasdeu” (www.usc.md) is a public institution that was founded on June 7, 1999, and its aim is to train and provide the southern region of the Republic of Moldova with highly qualified professionals. The University “B. P. Hasdeu” has three faculties: Faculty of Philology and History, Faculty of Law and Public Administration and the Faculty of Economy, Computer Science and Mathematics, and trains professionals in the following fields: Romanian Philology, English Philology, French Philology, History, Pedagogy, Law, Public Administration, Business and Administration, Finance and Banking, Accounting, Tourism, Engineering and naval transport management, Engineering and agricultural management, Computer Science and Mathematics. The teaching staff consists of 106 teachers with scientific and didactic titles, and carries on the activity at the following departments: Department of History and Social Sciences, Romanian Philology Department, Department of Modern Languages, Department of Law, Department of Political and Administrative Science, Department of Finance and Accounting Evidence, Department of Economy and Management of Affairs and Services, Department of Mathematics and Computer Science, Department of Engineering and Applied Sciences, Department of Pedagogy and Psychology. An important role in the development of Cahul State University “B.P. Hasdeu” is the relationships of close co-operation with a number of institutions of higher education from the country and abroad. Presently, our university has concluded agreements of cooperation and partnership with 8 universities from the Republic of Moldova, 9 universities from Romania, 7 universities from Ukraine, Azerbaijan, Belarus, Russia, Poland. 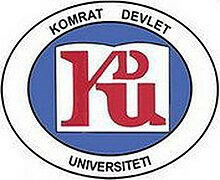 Comrat State University (KDU) (www.kdu.md) is a dynamic Higher Education institution founded in 1991, Comrat, and Republic of Moldova. It consists of four Faculties, 12 Departments and seven Centres which provide training in 36BSc, MSc, and PhD programmes. The university offers both full-time and part-time courses. KDU is successfully implementing the Bologna process, contributing to the integration of the higher education Republic of Moldova into the European Higher Education Area. The largest departments are the Department of Economics. Official languages of instruction at KDU are Romanian, Gagauz, and Russian. Language courses are available also in English, German, Bulgarian, Greek, French and Turkish languages. At KDU study more the 1500 students, 10 % from which is international students (on the full bases and in frame of the projects of the student’s motilities). Also, KDU every year takes its teaching staff, the professors from Greece, Polish, USA and other country, transmitting their professional expertise on a voluntary basis. At KDU actively functioning cultural centres of EU embassies accredited in the Republic of Moldova. KDU intensively developed the international cooperation: more than 50 agreements of cooperation between Universities in the Republic of Moldova and Universities from different countries of world, allows KDU to participate actively in the implementation of innovative educational reforms, promote international cooperation in innovation and science, to develop of academic mobility on the international level. Today the KDU is a full member of EURAS (Eurasian Universities Union). On 2010 year at Comrat State University was established «Centre of lifelong education» in frame of the project Tempus 144544-Tempus 1-2008-1-FR JPAES «Developpement de partenariats avec les enterprises en Moldavie», where the didactical staff of ATU Gagauzia continue to improve their skills on a professional basis. The National Council of Rectors of Moldova (NRCM) is a non-governmental organisation, which unites rectors of 26 state and private higher education institutions in the Republic of Moldova. The Council is funded by its member universities in relation to their student enrolment. The Council is a forum where university rectors can discuss future challenges and propose strategies and recommendations to national public authorities in order to meet them. 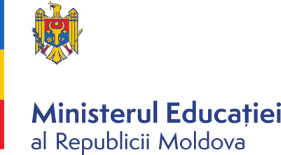 The Ministry of Education of the Republic of Moldova (ME) (www.gov.edu.md) is the central public administration for education in the Republic of Moldova. Its main competencies include developing strategies and promoting state policy in the educational sphere. In the period of 2014-2020 the objectives of the Ministry included focusing on improving the legal and regulatory framework in accordance with the requirements of modern society, international law and European standards; improving the quality of education by gradual transition from secondary education to academic preparation of students for life; ensuring access to quality education for all citizens of Moldova; including early education for all preschool children; developing training at all levels aimed at providing a competitive workforce with the current needs of the labour market.